Once upon a time, the developed world thought infectious diseases had been more or less wiped out by vaccines and antibiotics. But today we're battling AIDS and SARS and the bird flu. And tomorrow we may be contending with contagions as yet unknown. What happened? And, more to the point, what can we do about it? 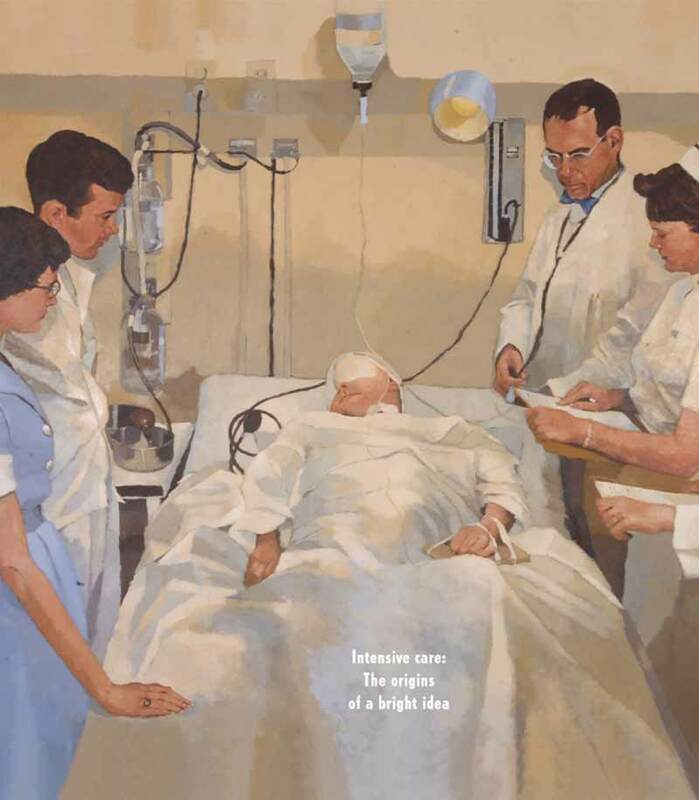 The intensive care unit at Dartmouth-Hitchcock Medical Center celebrates its 50th anniversary this year. It was a pioneering concept back in 1955. And DHMC has remained a leader in critical-care medicine ever since. By John F. Radebaugh, M.D. A retired member of the DMS faculty reflects on his varied career--and makes the case for the powerful healing effects of the house call.